As you may have seen last week, I’m embarking on a bit of a pre-Christmas fitness spree. 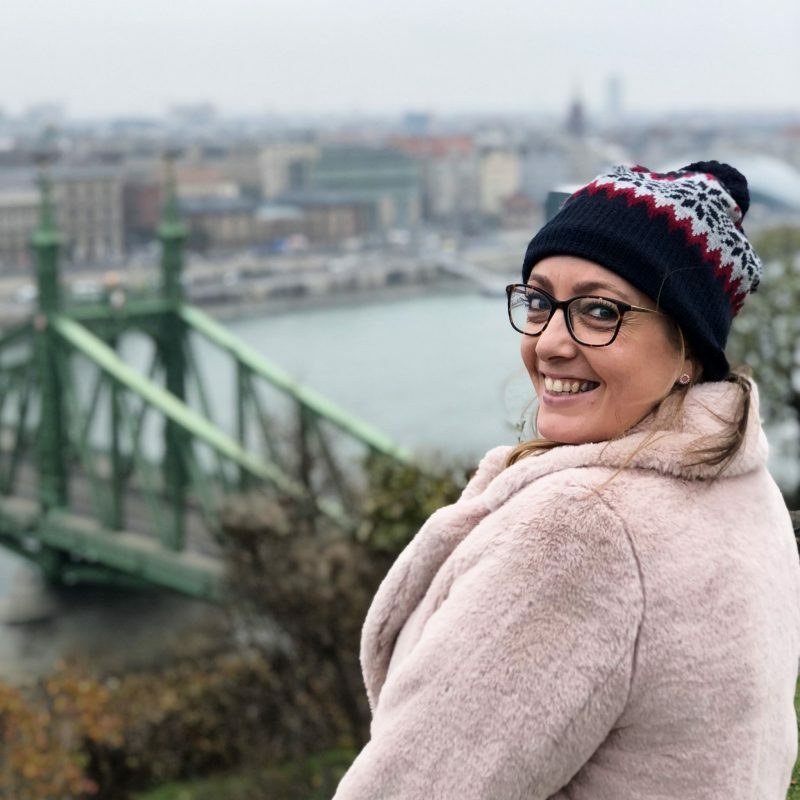 I have been getting into very bad habits of eating lots of sugary snacks and doing very little exercise, and am keen to try and get myself a little bit fitter and healthier before Christmas (when I am quite sure I will spend lots of time eating lots of sugary snacks and doing very little exercise!) So when Moderna Housewares offered to send me an Ozeri Precision II Digital Bathroom Scale* to try out I thought it was the perfect time. Ozeri is a brand of modern digital lifestyle products for the home including bathroom scales, kitchen scales and fitness equipment like pedometers. 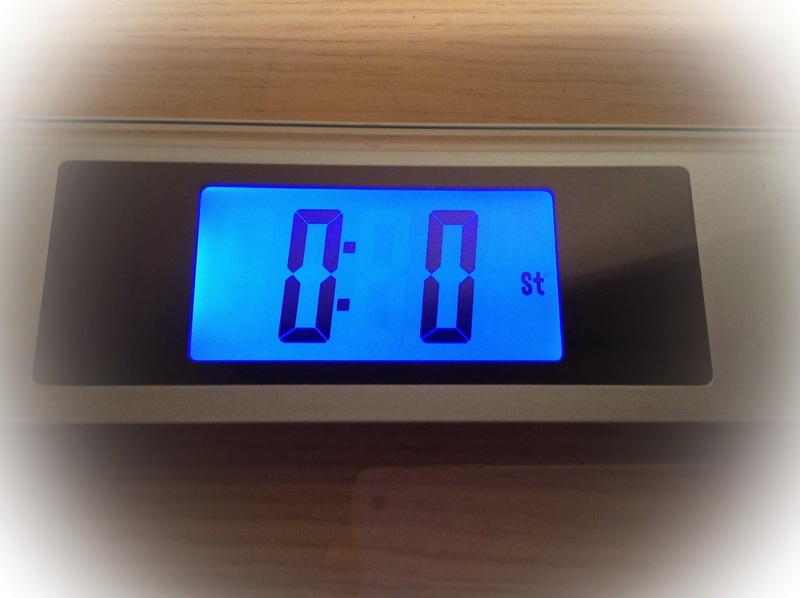 I got sent the Ozeri Precision II Digital Bathroom Scale, and they’re absolutely brilliant! 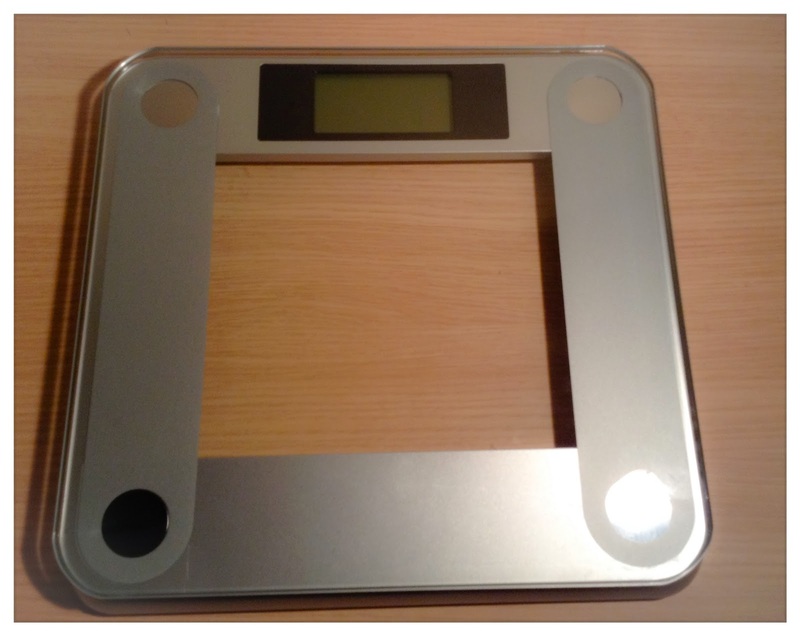 The only scales I’ve used in the past are a pair of cheap mechanical scales which are always very unreliable, and differ by an alarming amount depending on where around the home they are put. The needle always sways and moves whenever I’m standing on them so I never really know how much I actually weigh. The Ozeri scales however leave no room for discrepancy, as they flash your weight up on the digital screen in large clear numbers making it really easy to read. So whilst you may not be happy with the figure you read, at least you know its accurate! They go into great detail too, listing your weight in stones, pounds and even half / quarter pounds (i.e. 9st: 5 1/2 lbs) The display is backlit, so can be read in the dark – perfect for winter mornings or if you’re keeping the curtains closed! You can switch the display to show your weight in stones, pounds, or kilograms depending on how you like to measure your weight, by pressing a little button on the underside before you step on. This is great if you don’t have the time to do the conversions and also makes the Ozeri Precision II Digital Bathroom Scale a great international product. The Ozeri Precision II Digital Bathroom Scale is super easy to use. Once you’ve selected the weighing metric correct for you, you just place the scales on the floor and then step on. The scales are clever little things, and recognise when they’ve been carried or moved into a position, so when you step on they re-calibrate themselves to adjust to the new surface they get put down on, rather than just going by the settings used previously. This is good, as we all know the type of flooring / slight differences in flatness of the floor can alter your weight. Once you’ve stepped on, a big C comes on the screen (I guess C for calibrated!) You then step off, let the C disappear and then stand back on and get your true weight. Perfect! Often the weight which flashes up before the C (measured whilst it’s calibrating its surroundings!) is a lot heavier than your actual weight! Don’t be alarmed-as I was- it’s just figuring out its surroundings lol! 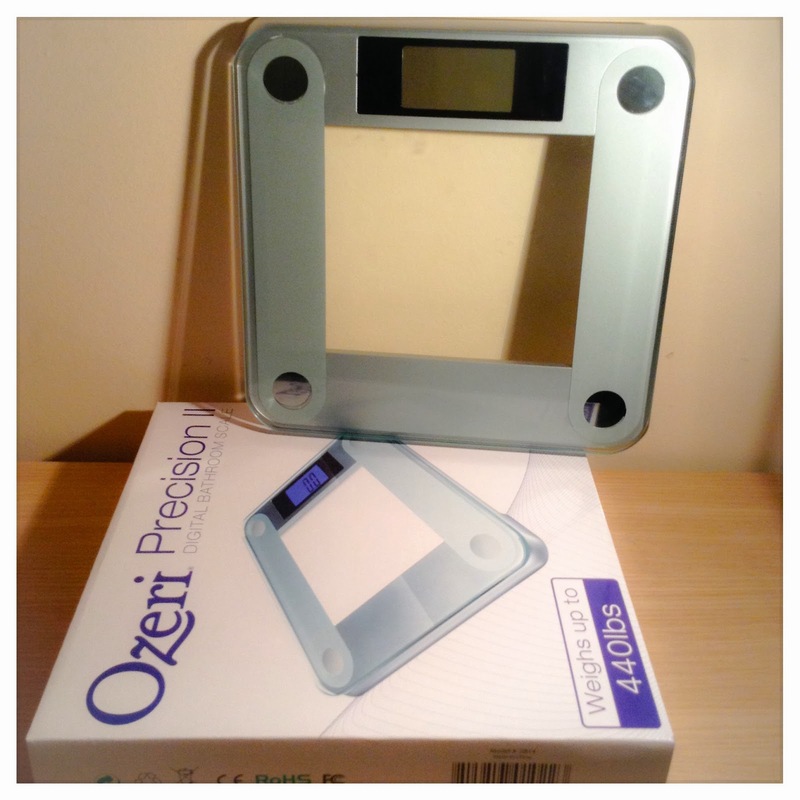 The Ozeri Precision II Digital Bathroom Scale looks really smart too. It’s a lovely modern, sleek clear blue tinged glass and brushed chrome metal design, making it nice and stylish. Whilst it is called a bathroom scale, I have not kept mine in my bathroom, as I’m always a bit cautious about electronics in such a wet, steamy environment, just in case they get a bit waterlogged and stop working. I did however pick up my scales with wet hands, and a drop of water dripped between the 2 sheets of glass. It has gone now, but took a good 4 days to fully evaporate and disappear, so just something to be mindful of when storing and transporting your scales. 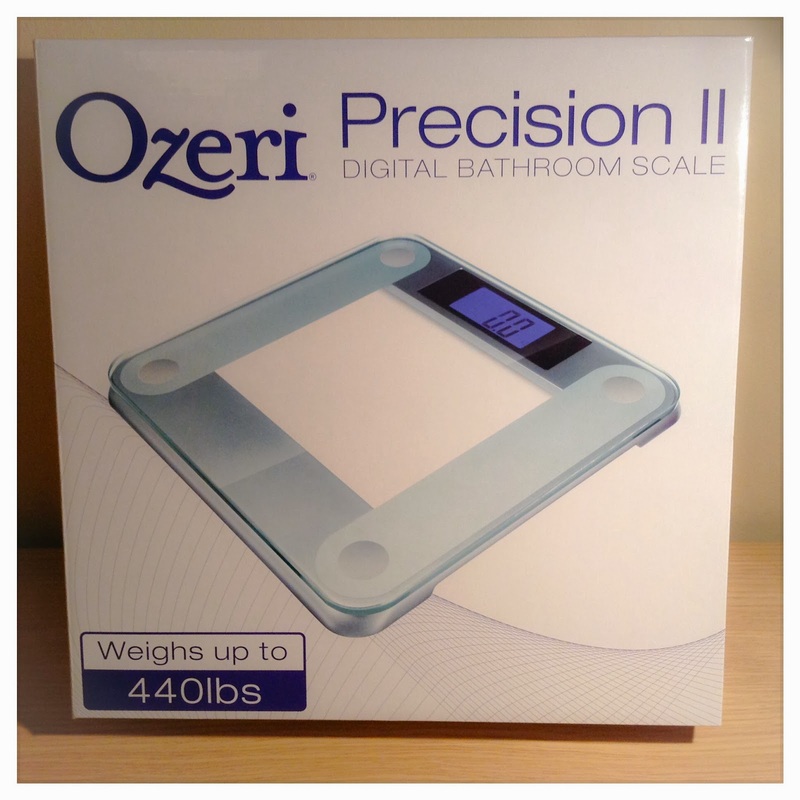 You can find a range of Ozeri products on amazon.co.uk The Ozeri Precision II Digital Bathroom Scale is currently selling for only £17.99 (and are eligible for super saver delivery!) The scales also come complete with the 4x AA batteries needed to power the display, and this also automatically turns off when not being used to conserve battery life! 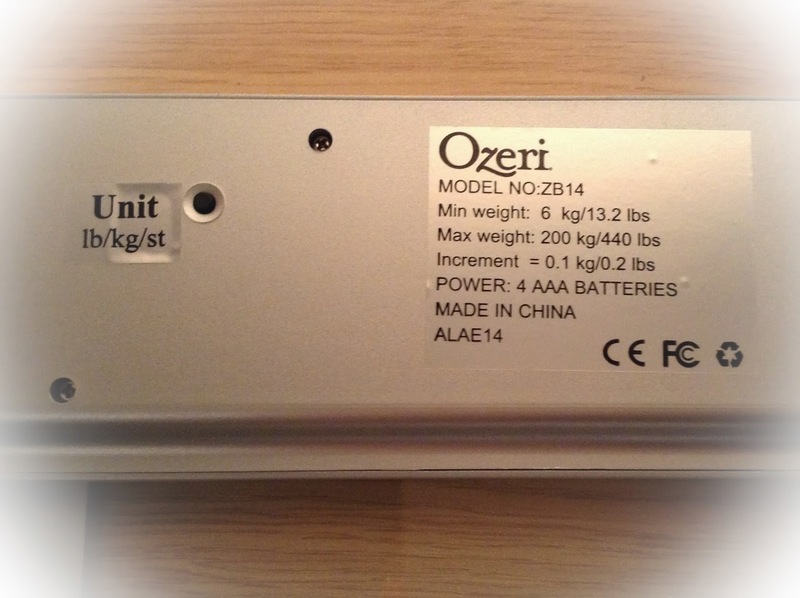 *Thank you to Moderna Housewares for kindly sending me the Ozeri Precision II Digital Bathroom Scale to review.